Value Stream Mapping is a lean-management method for analyzing the current state and designing a future state for the series of events that take a product or service from its beginning through to the customer. It has supporting methods that are often used in Lean environments to analyze and design flows at the system level (across multiple processes). Although value stream mapping is often associated with manufacturing, it is also used in logistics, supply chain, service related industries, healthcare, software development, product development, and administrative and office processes. 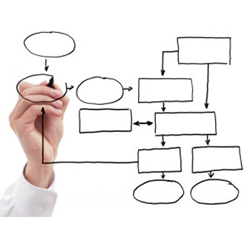 Need Value Stream Mapping consultation? Contact us now. Fill out the form and we will be in touch with you promptly.